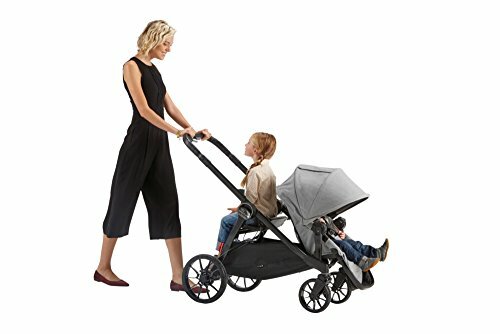 Joovy and Baby Jogger are two best-selling stroller brands that you undoubtedly have seen other moms pushing around town and at the playground. Both brands produce head-turning, beautifully-crafted strollers that may have you wondering if it’s time to upgrade your current buggy. And if you’re expecting your first baby, you may want to think about investing in a stroller that will grow with your family, saving you money in the long-term. In this guide, we take a closer look at both brands and compare some of their most popular models so that you can exactly see what you’ve been missing or perhaps decide what stroller would be your best bet as a first buy. First of all, let’s find out more about these two stroller manufacturers. 2 Joovy: Built for Family, Designed for Life! 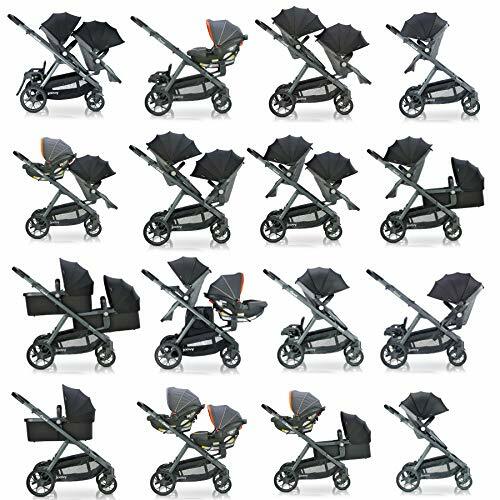 Baby Jogger is a multi-award-winning producer of children’s gear and an impressive range of strollers, including double strollers engineered for a growing family’s needs. This brand was founded in 1984 and is best known for designing and launching the first jogging stroller. Since then, the company has broadened its range of strollers to keep pace with the demands of modern parents. Now, Baby Jogger produces a stroller for every activity level and every terrain. Joovy: Built for Family, Designed for Life! 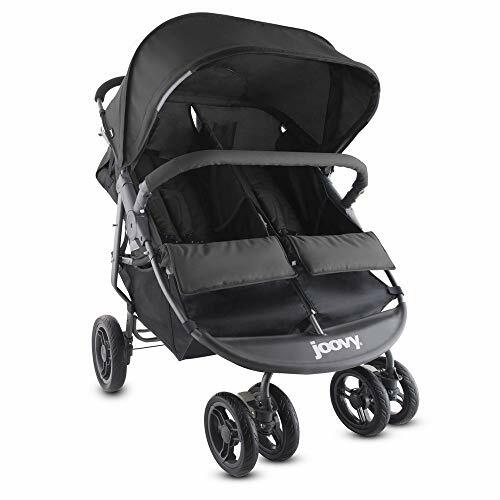 Joovy is a relatively new family business that manufactures a wide range of children’s products, including strollers. Dallas-based Joovy markets itself as a company whose designers and creatives have all been where new parents are now, and everything they make is designed to reflect that. 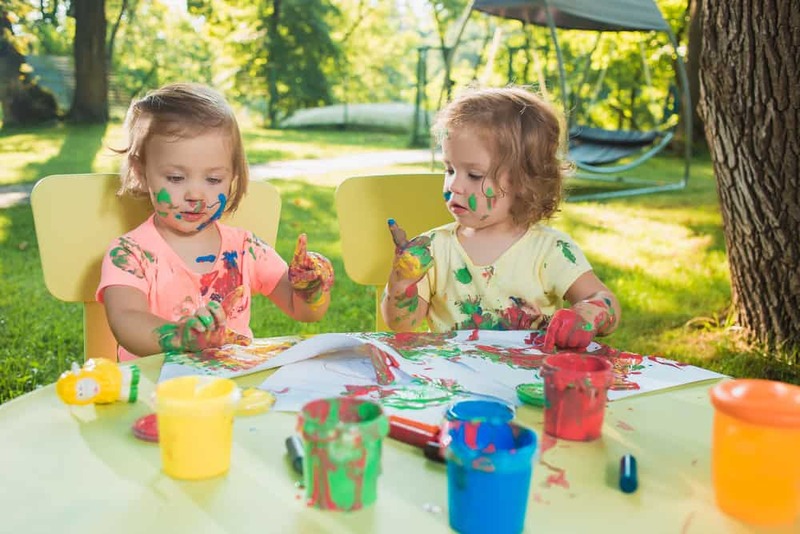 Their products are well-designed, modern, and built to last your family from your first newborn right through to their toddler years and beyond. Now, let’s take a tour around some of these two forward-thinking companies’ strollers. 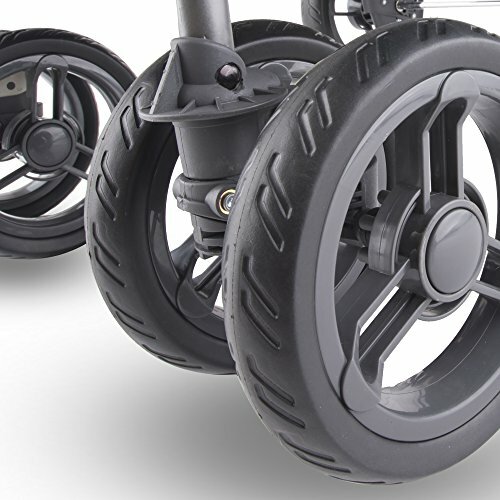 The Joovy ScooterX2 has been updated and now has larger wheels than the original model, as well as a smart, graphite-colored frame. The good news is that the ScooterX2 only weighs 28 pounds, which is incredibly light for a twin, side-by-side stroller. Also, at 30 inches wide, the ScooterX2 fits easily through standard width doorways. Parents praise the Scooter X2 for its superior maneuverability and handling, even when using just one hand – now we think that’s mighty impressive for a double, side-by-side stroller! Considering the width of the stroller, the seats are still full-sized and very roomy. Also, there’s a one-handed recline that allows you to adjust the seat to an almost flat position. Although you can’t use the stroller for a newborn, kids from six months upwards can ride safely in the ScooterX2, and the 90-pound weight limit will easily see you through to toddlerhood. A nice touch is the mesh pockets inside each seat that are ideal for carrying in small toys, a sippy cup, or snacks. Like every Joovy stroller model, the ScooterX2 comes in a wide range of bright, modern colors. The fabric used is high-quality and is both fade and stain-resistant. 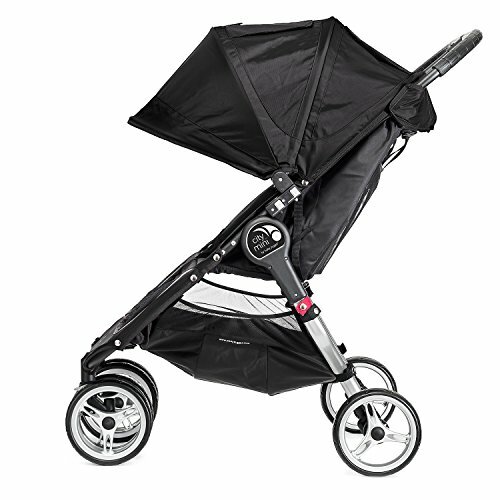 The stroller canopy is very generous and easily adjustable via a ratchet system. 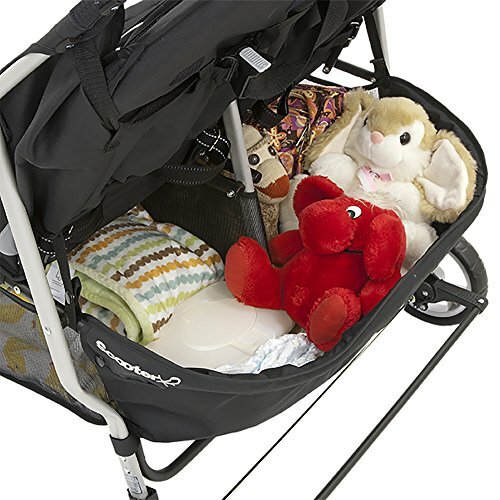 When it comes to onboard storage, the ScooterX2 has a huge underseat basket that has plenty of room for all your baby essentials and some grocery shopping too. 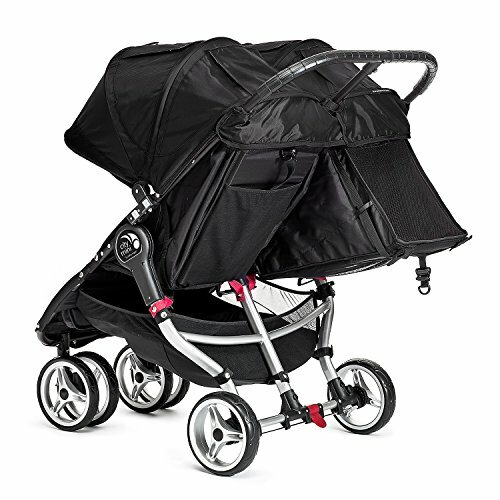 Turning to the Baby Jogger City Mini Double, this is also a double, side-by-side stroller. The City Mini Double weighs 26 pounds, making it even lighter than the ScooterX2. That’s perfect for new moms who want to lift the stroller into a car trunk or carry it up and down stairs. At 30 inches in width, the City Mini Double has the same easy-to-maneuver dimensions as the ScooterX2. Handling and maneuvering the City Mini Double is a breeze thanks to its lockable wheels. The stroller is a comfortable push for parents of almost any height, despite the handlebar not being adjustable. The main downside to the City Mini Double is that it is not compatible with any infant carriers, so you can’t use it as a travel system, which you can with the Joovy ScooterX2, which also comes with car seat adapters included. When it comes to storage, the ScooterX2 has the edge. The City Mini Double has an underseat storage basket, but it isn’t substantial. Also, you can’t hang anything heavy on the handlebar as it may cause the stroller to tip over backward. Like the ScooterX2, the seats on the City Mini Double are pretty generous and can be individually reclined. Both seats have a five-point safety harness, retractable weather cover, and mesh vent. If you have a newborn baby or twin babies, you’ll be pleased to hear that the City Mini Double is suitable for use from birth without the need to buy any extras. The sun canopy on the City Mini Double is a decent size and can be adjusted to different positions to suit the weather. The coverage the sun canopy provides is excellent, protecting most of your passengers, except for their legs. The canopy has peek-a-boo windows, but the fastenings are Velcro, which can be noisy and could wake a sleeping child. 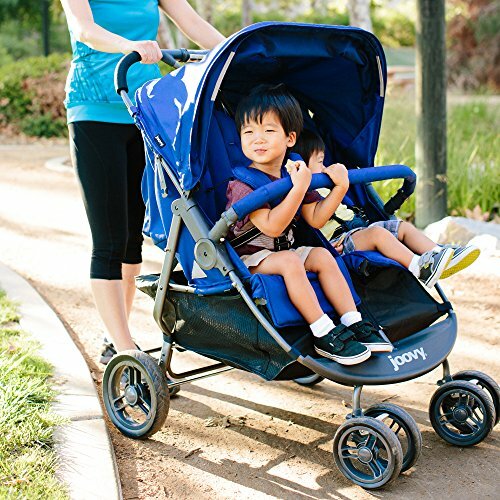 The Joovy Qool is the ideal stroller for parents who are planning on growing their family. That’s because this stroller can convert from a single to a double or even a triple! The seat accommodates children up to 55 pounds, and the stroller can manage no fewer than 56 different configurations by adding optional extra seats, bassinets, toddler bench seat, and car seat adapters. The Qool handles superbly, thanks to its revolutionary, cantilever four-wheel suspension system. 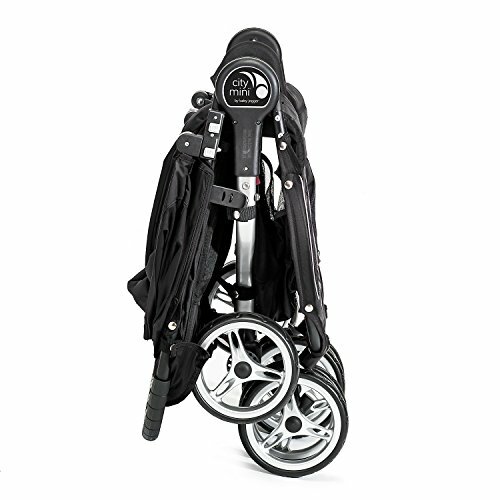 Its featherweight of just 21.5 pounds also enhances the stroller’s outstanding maneuverability. You can use the Qool for newborns but to do so, you need to buy a car seat and adapters that are sold separately. However, infants from three months of age can ride safely in the stroller seat. The reversible seat is well-padded with a full recline and leg support too for a comfy ride. In case of spills, the seat pads are removable and machine washable. The canopy is generous and has a zippered extension panel too so that you can protect your child from top to toe from the sun’s harmful rays. 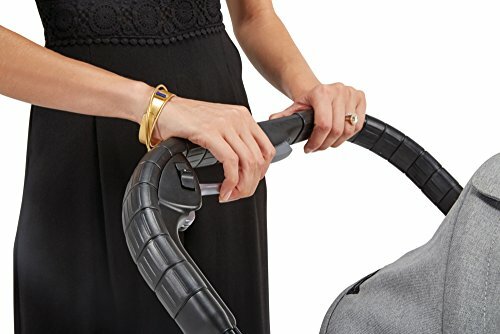 For your comfort, the handlebar is adjustable from 37 to 42 inches, so you won’t suffer from backache when pushing the stroller no matter how tall or short you are. The leather-look covering on the handlebar and bumper bar adds a touch of luxurious style to the Qool. The Qool has a simple, easy-to-operate folding system that you can achieve with the seat facing backward or forwards. And beneath the seat, you’ll find a huge storage basket that will take all your baby essentials and a small amount of shopping too. 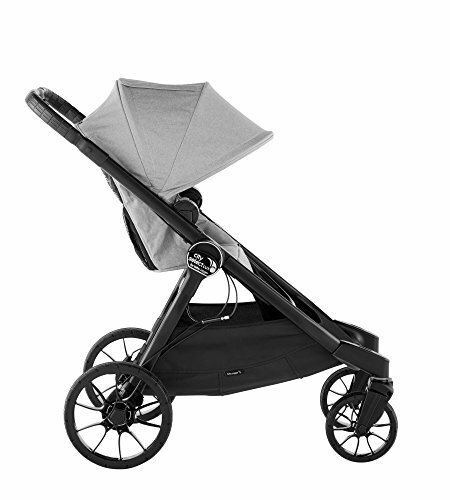 The City Select Lux is Baby Jogger’s answer to the Joovy Qool and is an upgraded, enhanced version of the regular City Select. The City Select Lux converts from a single to a double stroller, and also offers the option of a bench seat accessory so that an older child can ride along too. The seats can be configured to face front or towards you. Alternatively, can place your passengers face-to-face for onboard fun! You can even convert this stroller into a ride-along, tandem! The regular seats are very roomy and, like the Qool, both can hold up to 45 pounds. The City Select Lux is designed to be used as an all-terrain stroller and has been equipped with all-wheel suspension and locking front wheels for better control and maneuverability over any surface. However, the City Select is heavier than the Qool at 30.4 pounds, which could be an issue for new moms. 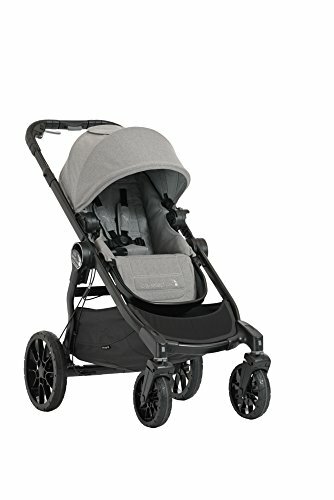 The City Select Lux is very much at the top end of the price point for luxury strollers, so you would expect it to give your passenger a super-smooth ride, and it does! The rear wheels are larger than the front ones, and the all-wheel suspension system provides better steering and a smoother push over any terrain. Unlike many all-terrain strollers, the City Select Lux has solid wheels so that you’ll never need to worry about getting a flat or remembering to check tire pressures. One feature that parents love is the large, underseat storage basket. The basket is made of stretch fabric, meaning that you can fit lots of items inside it. The stroller’s innovative design makes the basket very easily accessible, by merely making the seats moveable, even when you are using the bench attachment on the back of the stroller. Unfortunately, the underseat basket is the only storage facility that the City Select Lux offers. You don’t get a snack tray, drink holders, or parent console included with the stroller. All of these items must be bought separately, adding to the price. You operate the braking system on the City Select Lux from the handlebar. That’s good news for many moms, as it means no more damaged shoes, broken toenails, or hidden footbrake pedal. Also, the easily accessible braking system is much safer in an emergency when you don’t have time to fumble for a footbrake. However, the main issue with the brake’s positioning is that you can’t use a parent storage console on the handlebar because the handbrake gets in the way. If you and your partner are different heights, you’ll appreciate the City Select’s adjustable handlebar. Like the Qool, the City Select has a large, SPF50+ canopy to keep your passenger shaded from the sun’s potentially harmful rays. 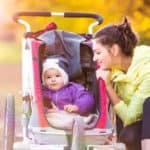 If you have one child, but you’re planning on adding to your family in years to come, you can save yourself a lot of cash by investing in a stroller that will grow with your family. 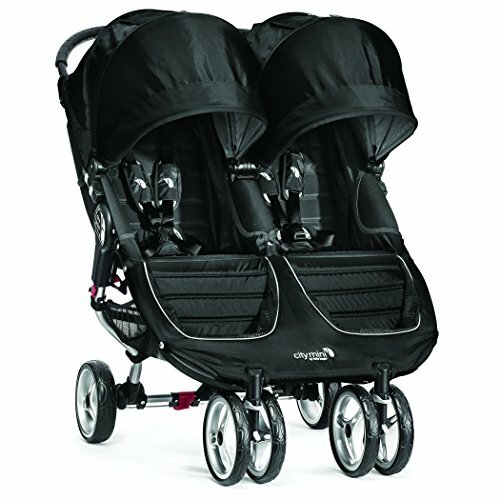 The Joovy ScooterX2 and Baby Jogger City Mini Double are ideal strollers for families with two small kids or twins. Both these strollers are incredibly well-crafted and are full of useful features. Of the two, the City Mini Double falls down in that it isn’t compatible with any infant car seats, meaning that you can’t use it as a travel system. In contrast, the ScooterX2 comes with car seat adapters included with the package. That could be a deal-breaker for you if you want a stroller that you can convert for easy car travel with a small infant. 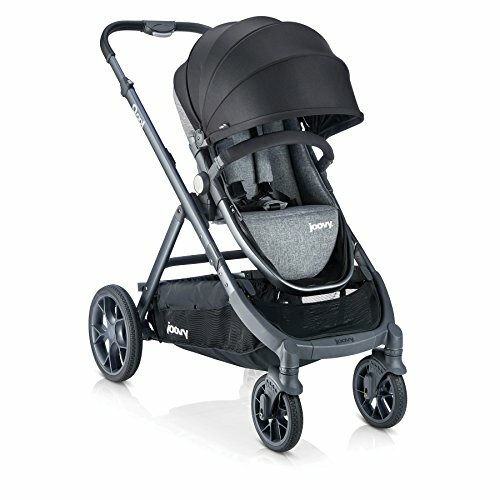 Although both the ScooterX2 and the City Mini Double have underseat storage, parents report that the basket on the Joovy stroller is more generous, which is crucial if you plan on using the stroller for days out when you need to carry lots of baby essentials with you. 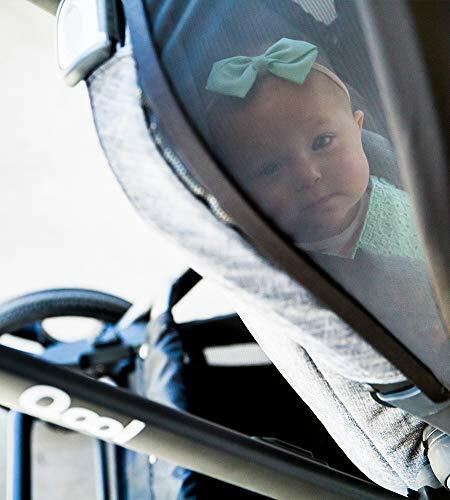 The Joovy Qool and the Baby Jogger City Select Lux both sit firmly in the luxury stroller bracket, and they both have prices to match! As you would expect from a luxury stroller, both models are feature-packed. Superior suspension systems, lightweight frames, and adjustable handlebars mean that both these strollers are easy to handle and a pleasure to push. And if you are planning on extending your family or perhaps taking a friend or relatives’ kids with you on outings, both the Qool and the City Select Lux boast multiple seating configurations, including extra bench seats for older kids. We couldn’t split the Qool and the City Select Lux on value for money, although if you want extras such as cup holders, snack trays and the like, you do need to buy these separately if you go for the Lux.